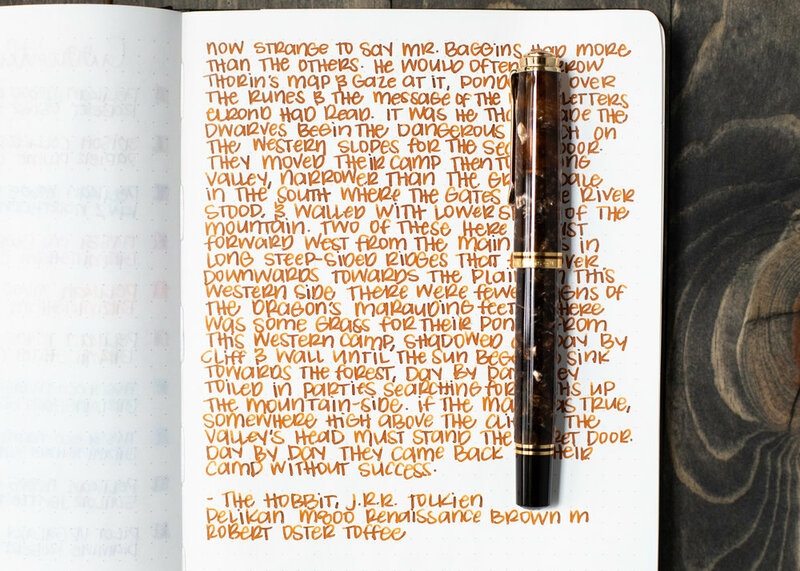 Every time Robert Oster releases a new ink, I immediately put it on my wish list. I’ll admit I have a weakness for Almond Roca; every year hubby gets me some for Christmas, and Robert Oster Toffee reminds me of the toffee center. I purchased my bottle of ink from Pen Chalet. Toffee is just that-a medium toffee brown, so the name is fitting. In large swabs the ink appears almost black, but doesn’t actually sheen. Toffee is closest to Akkerman SBRE Brown, but they aren’t an exact match. It has more orange than Caffe Crema does, but is darker than Campfire. 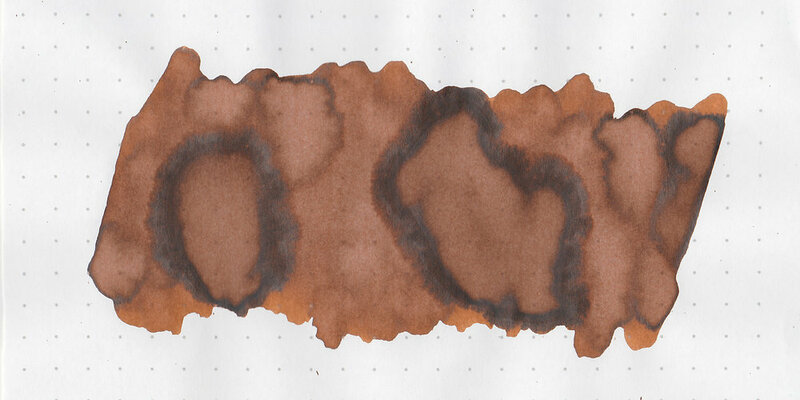 Click here to see the Robert Oster inks together, and click here to see the brown inks together. I used a Pelikan M800 Renaissance Brown with a medium nib on Tomoe River paper. The ink had an average flow, maybe just a touch dry. Overall, it’s another nice ink from Robert Oster. I like the color and it has some pretty shading but the dry time is a bit long at 50 seconds.